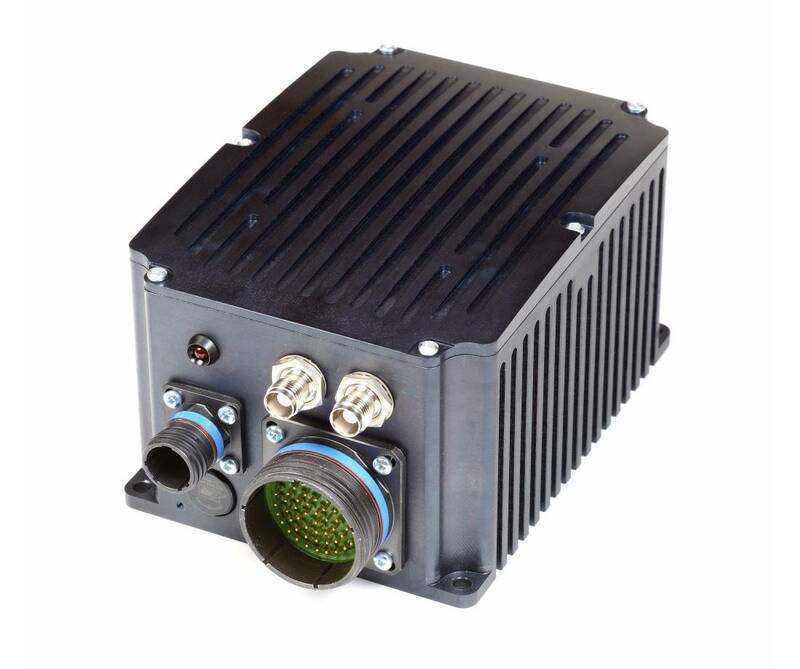 AMP’s microHydra is a COTS multi-channel video acquisition appliance ideally suited for UAV applications such as surveillance and reconnaissance where more functionality is essential in rugged, compact environments. The microHydra offers a unique new competitive advantage to UAV video systems builders through its application-specific, dense functionality, easy customization and elimination of the development cycle. The appliance is implemented with multiple intelligent video processors on a PC/104 stack linked to a central processor and storage over a GBit Ethernet fabric. Ready to go and ready-packaged into a rugged, watertight conduction-cooled IP67 rated enclosure with sealed MIL-D38999 connectors, this compact appliance brings dense functionality into the space-constrained environments inevitable in UAVs. The microHydra supports up to 8 PAL/NTSC/RS-170 recording channels for capturing multiple live video cameras, RS-170 signals and FLIR. In addition, two HD-SDI inputs supporting KLV meta-data (to STANAG 4609) extraction and processing are provided to handle high-end imaging of EOIR HD sources including L3-Wescam turrets. The compact appliance also provides optional sensors and features including Controller Area Network (CAN), 3-Axis Accelerometer, Altimeter, a 3-Axis Digital Magnetometer (e-compass), and Gyroscope. Additionally, sensor data is combined with video compliant STANAG4609 for IP streaming. Military systems builders can demonstrate or deploy the microHydra immediately on delivery as the appliance includes application firmware ready to record video from a range of sensors. Configuration then becomes a simple matter of choosing an appropriate mix of sensors and adding any project-specific functions as required. As always, AMP kicks it up a notch by providing extra hardware functionality which is extremely accommodating, allowing the user to choose I/O modules from the vast PC/104 ecosphere and plug them into the microHydra stack. This advanced level of integration ushers in the concept of the Demo-Configure-Deploy (DCD) cycle, making the microHydra a valuable tool for military systems builders endeavouring to reduce cost and time to demonstration and deployment as they squeeze ever more functionality into diminishing volumes; a scenario highlighted by DoD demands for more demonstrations of new technologies – at high Technology Readiness Levels (TRLs) – earlier in the development cycle.